LeCuyer, Annette. "Evaluation: Kahn's Powerful Presence at Exeter." Architecture 74 (February 1985): 74-79. Brief article accompanied by photographs, plans, section. evinces an on-going search for the essential elements of architecture." 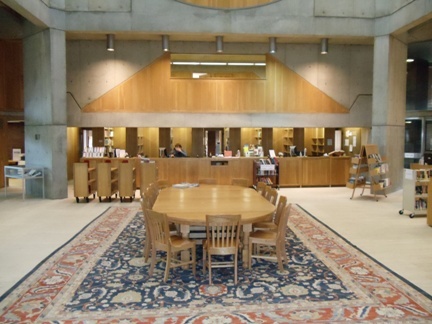 Library at Phillips Exeter." Nexus Network Journal 12, 3 (2010): 389-420.
relationships to media in the collection. Novitski, B. J. "In Search of Louis Kahn." Architecture Week 17 Dec.
A review of the film My Architect.